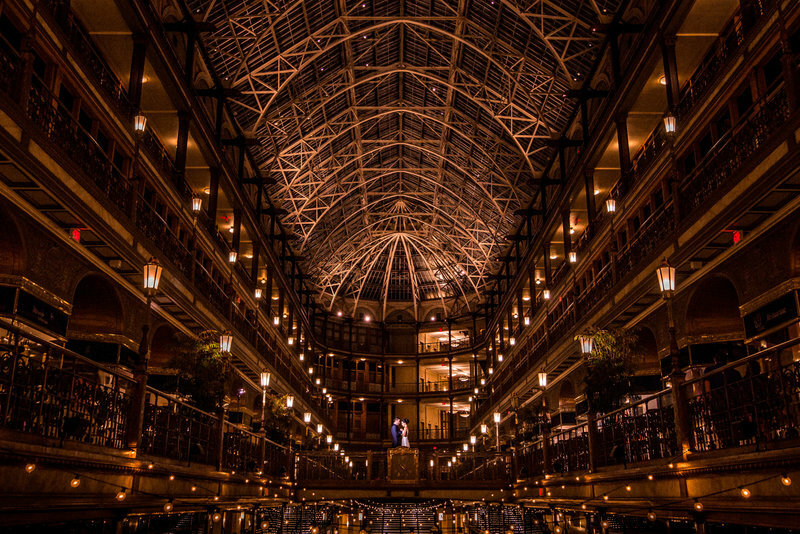 Guests can stay at the Hyatt Regency Cleveland, which is attached to the Arcade. Bouquets and boutonnieres can be provided by 12th Street Florist and you can then explore Colossal Cupcakes or Bloom Bakery as a way to plan for a dessert for your wedding. The Arcade is one of the hottest venues in downtown Cleveland, so it's a good idea to reserve the date as soon as possible before contacting the rest of your vendors. Plus, if you get married around one of the major holidays, some of your decorations are provided for you, saving you quite a bit of money. Once you have your venue selected, contact Style and Story to discuss your wedding photography needs. There are all sorts of reception and ceremony sites throughout The Arcade. The hotel ballroom is the most popular area for both. However, you will want to explore some of the other areas if you have a smaller ceremony planned, such as the atrium, which is five-stories high and located directly under the breathtaking glass roof. Couples will often choose The Arcade because of its beauty. There are many photo opportunities at this iconic landmark that will ensure you will have beautiful wedding photos. A couple of our favorite spots for photos are the lower level of the atrium, in front of the Cafe, the grand entrance to The Arcade or along the iron balconies. 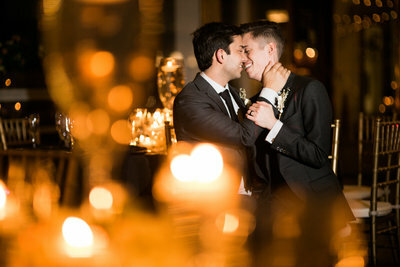 The venue allows for a total of seven hours for the ceremony and reception, which doesn't account for any setup or clean up time. Up to 400 guests can be accommodated depending on the type of ceremony. However, for an indoor, seated reception, the maximum capacity is 300 guests. One of the first things that couples are sure to notice is the sweeping, back-let staircases. There is an 85-foot high skylight as well. There is a significant amount of sophistication throughout the building and its fairytale style makes it an extra special venue. A number of accents have been restored to their original beauty, helping to craft the ideal setting. The Arcade Cleveland has been a part of historic downtown for decades, first opening in May of 1890 as the first shopping center located indoors in America. With the Hyatt Regency providing the wedding details, it's possible to enjoy their on-site catering and alcohol for an unforgettable wedding reception. The setup fee for a wedding here starts at $500. The catering can then vary from $13,000 to $25,000 for 100 guests, depending on the food and alcohol choices that you decide to make. The ceremony and the reception is located indoors. The benefit to this is that you can get married at any time of the year without having to worry about rain or snow preventing you from going on with the details. The catering staff is innovative, allowing you to choose everything from plated hors-d'oeuvres to plated dinners to buffets. Of course, you can always choose to be different and opt for a brunch reception, complete with omelet stations. Choosing the right wedding venue is probably one of the most important decisions you will make for your wedding. Make sure to explore the different options carefully and spend some time at your favorite places before you settle on one or the other venue. 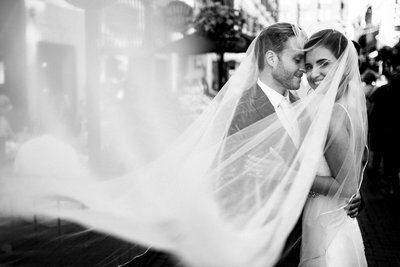 Click to see Katie & Scott's incredible wedding at The Arcade Cleveland. 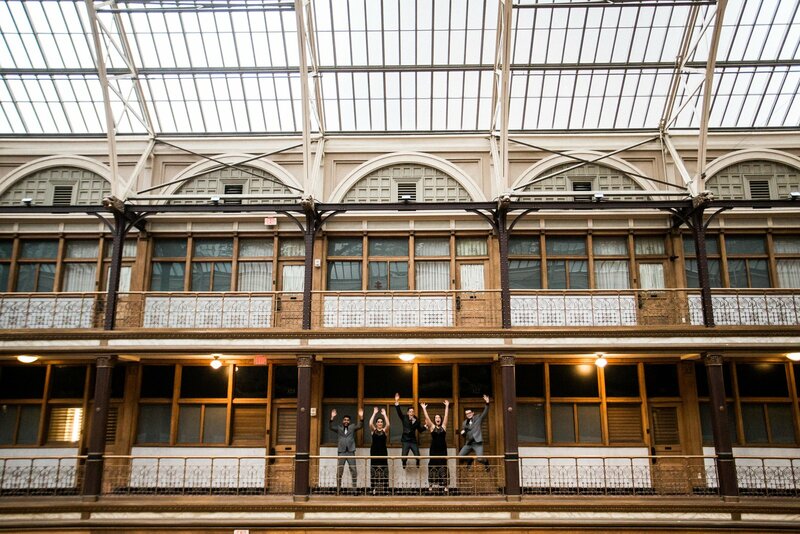 Click to see Carter & Joe's incredible wedding at The Arcade Cleveland.